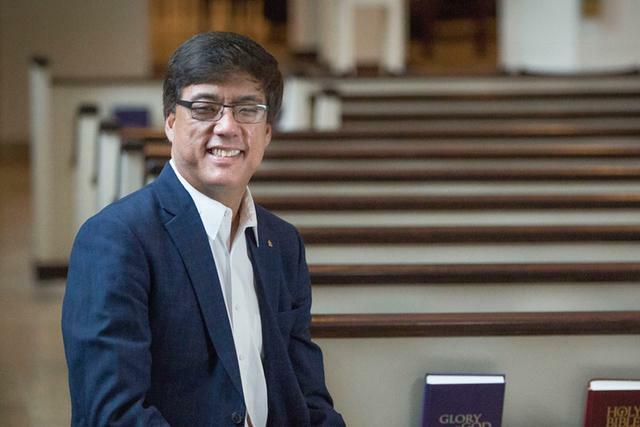 Rodger Nishioka serves as the Director of Adult Educational Ministries at Village Presbyterian Church in Prairie Village, KS, and is grateful to work with the congregation’s Environmental Action committee. In October, I gathered at the border fence in Nogales with a thousand others--Christians, Jews, Muslims, Unitarians, Native Americans, European Americans, Latin Americans, documented and undocumented. 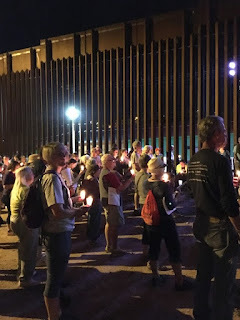 On both sides of that rust-colored wall, we sang and prayed and shouted: “Tear it down!” We shouted and sang and protested because we are told time and time again that this wall, these policies of exclusion, this violence that has marked the US southern border will make us safe. It is not true. We know what is true: that this wall is an “open wound” in the desert, a visible scar that continues to hurt the earth and her people. What is true is that the land and the communities along the border wall, while wounded, continue to resist these policies of exclusion by surviving. What is true is that, were we awaiting the birth of the Christ child in our context today, in 2016, we would be waiting along that wall for a child born to undocumented parents, a child born in the desert to parents who were fleeing violence in their home, a child born into a world still desperate for renewal. We also know that this is true: climate change forces more and more people to migrate to new lands in search of food and other resources. 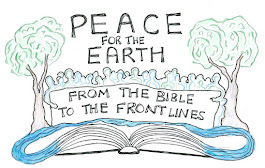 What is true is that if we do not change our hearts and minds and policies toward climate change and toward immigrants, renewal cannot come and we will miss the birth of the one whom we await, the one who brings renewal. who will renew the earth and her people from the wounds we have inflicted if we will let him, if we will help him. 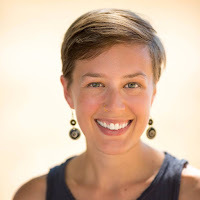 Emily Brewer is the director of the Presbyterian Peace Fellowship. She is a graduate of Union Theological Seminary in New York (2015) and Maryville College (2009). She lives in Brooklyn, NY but will always consider East Tennessee home. In the shade of the giant tree. And gladiolas burst forth in shouts of color. During that one hot, dry spell. In the desert turned garden. 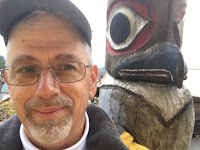 George Pasley is a poet and pastor of Ketchikan Presbyterian Church in Ketchikan, AK. The question most often asked of George Pasley by his Alaska congregation is, "Where are you going now?" In 2016 the vagabond pastor visited Cuba with the Outreach Foundation, and South Korea with the Presbytery of Northwest Coast Korea study group. Next year, he may just stay home. James 5:7-8 Be patient, therefore, beloved, until the coming of the Lord. The farmer waits for the precious crop from the earth, being patient with it until it receives the early and late rains. You also must be patient. Strengthen your hearts for the coming of the Lord is near. As we read this text in the third week of Advent, we are preparing; we are hopeful, and we wait. 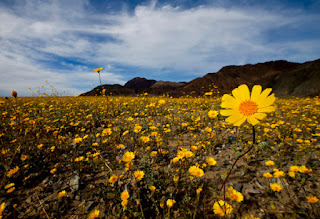 In ancient Israel, the dry-land farmers had to rely on the rains to water their crops. The farmers did everything they could to prepare their fields, and they realized they were not in complete control – they hoped and expected that rain would come. We who care for creation are the dry-land farmer. In Washington and Oregon alone, we have seen more than 25 fossil fuel infrastructure projects seeking permits. Out of concern, hundreds of thousands of citizens participated in public hearings and raised questions about the impacts. On the one hand, several of these proposed projects would be developed in struggling communities that desperately need jobs. On the other hand, we recognize that this infrastructure would have irreversibly long term effects on the environment. While the need is urgent, these resistors have had to exercise great patience – the kind of patience described in James. If, six years ago, we saw the work to be done in order to defeat 25 massive fossil fuel projects, we would not have believed that it was possible to influence even one of those projects. During Advent, we remember where hope comes from. To move mountains, we do what the dry-land farmers do. We prepare the soil and sow the seeds; we are patient. We tend the garden even when the weather forecast is bleak. We stop worrying about the outcome and do what is required to cultivate our land. We realize we are partnering with a radical, illegitimate homeless, baby boy who came and will come like the long-awaited rains. Prayer: God of hope, we thank you for the life-giving rain. 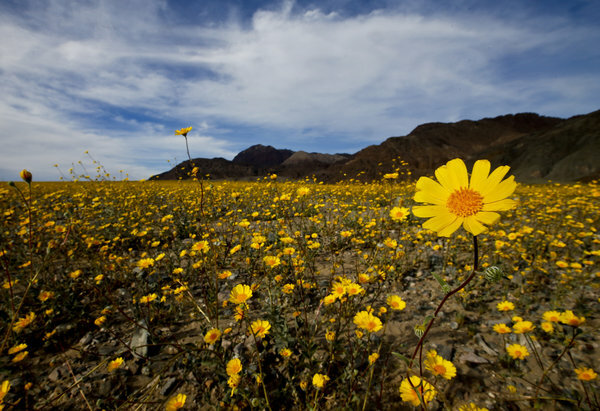 Thank you for the earth that you have entrusted us to care for. We see the dry land and we worry. Guide us as we struggle to know how we each are called to prepare for, and be ready for the rains. In Jesus' name -- Amen. Abby Brockway is a ruling elder at Woodland Park Presbyterian Church in Seattle, Washington. She is a member of the Delta5 - a group that committed an act of civil disobedience. They were charged with trespassing and blocking an oil train. They went to trial and tried the necessity defense in court because they believed their act was necessary to prevent a greater harm.